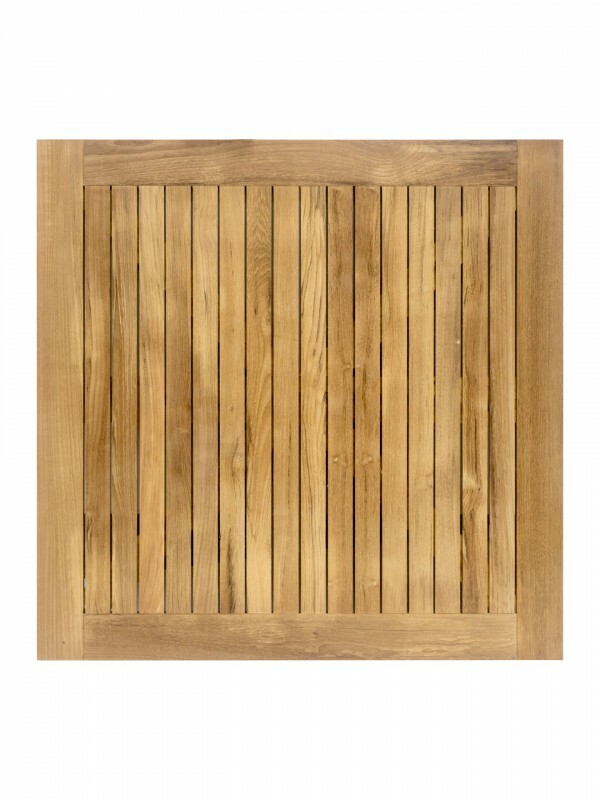 Square Teak Restaurant Table top. Teak table tops are a perfect complement to any outdoor rated base. Teak is ideal for outdoor table because of the natural oil it contains. Teak turns a silver gray as it ages outside. Teak oil is a way to hold its original color if need be.